Rejoice! 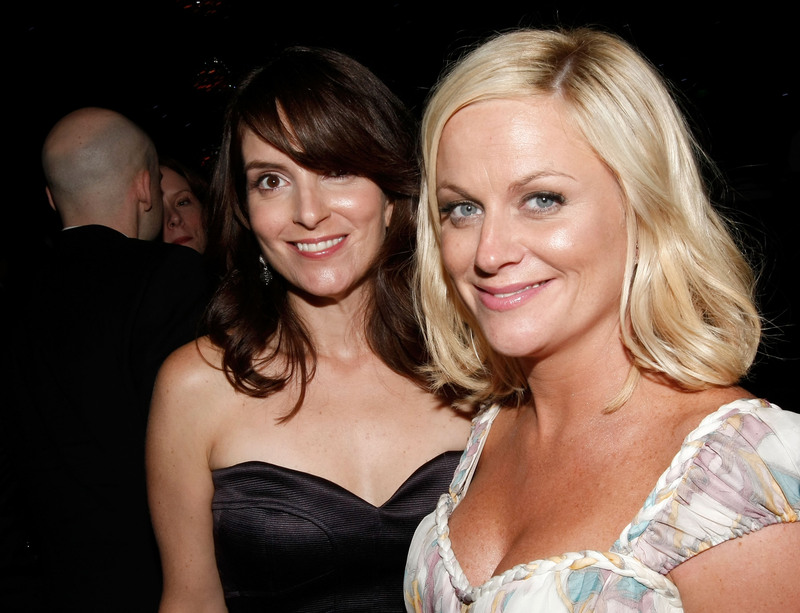 According to the Hollywood Reporter, comedy powerhouses and real-life besties Amy Poehler and Tina Fey will be returning as hosts of the Golden Globes for the next two years. It's no surprise, considering their last stint as hosts in 2013 gave the Globes their highest rating in six years. More than 19.7 million viewers tuned in, showing a major increase in the 18-49 demographic for the awards show. Really, it was a win-win. No wonder literally everyone know is excited about the news. Who is the greatest equalizer in Hollywood? One Stephen Colbert. Let's aim higher than the same old red carpet interviews, during which celebrities talk about who they’re wearing and go on about how it’s an honor to be nominated. We’d love to have Stephen Colbert flip the Red Carpet hosting duties on their side. On a night that’s all about the nominees, he’d make it all about him. And we’d all be better for it. Big props to Neil Patrick Harris for his always entertaining song-and-dance numbers. However, his opening at the Emmys was a total snorefest and he was one-upped by our gals Amy and Tina (though we’re pretty sure they could one-up the President) just moments after. Let’s go for the gold here: sequins, tap shoes, and big-time dreamboats and beefcakes — we’re looking at you Hugh Jackman and George Clooney. There will most definitely be an appearance by the Timeless Torches. And we’re bringing in Maya Rudolph and Ana Gasteyer to belt it all out. Since Poehler and Fey will be busy hosting and being the greatest human beings on planet Earth, they probably won’t have time to heckle. So who should do it instead? Easy: Aubrey Plaza and Retta. Sometimes there’s just nothing better than making celebrities uncomfortable while they're celebrating themselves. Plaza definitely has that down and we’d love to get a live tweet and play-by-play by Retta. Who can “get it"? She'll tell us. Forced banter between celebrities who are either randomly paired or actually related to one another never goes well. Ever. Just leave it to the pros. Poehler and Fey met while studying and performing at Chicago's legendary improv and sketch theater, The Second City. And, one of the greatest gems from last year's ceremony was Kristen Wiig and Will Ferrell's, YOU GET OUTTA HERE spot. Bring on the improvisers. The simple pairing of Dratch and Hamm is a comedic goldmine in and of itself. Think of all of the amazing opportunities for a Debbie Downer cut-to! And considering Hamm is already a golden statue, he would fit right in. We’d also relish in any and all opportunities for Hamm to bust out his comedy chops (preferably shirtless or with a hook hand). Tired of those awkward backstage award show interviews? (Seriously, what was that, Emmys?) Scrap that: It’s Ron Swanson with grilled meats talking to winners about America and hunting. Merritt Wever is hired to write all of the acceptance speeches. ALL OF THEM. Remember when we used to have to cover our heads in blankets during the era of Hathaway Awards Season? Nevermore, world, nevermore. All speeches shall henceforth be written, "Thank you so much, I gotta go. Bye." Everyone knows that the A-listers attending the Golden Globes get nice and toasty, so why not have Poehler and Fey make a few quick spots live from the bar? Our dream bartender: Nick Miller. We’re assuming Jake Johnson knows how to make plenty of those legendary fruity cocktails. Because, really, who wouldn’t want to see the whole night unravel into a college dorm party? Poehler and Fey will deliver a total dream ceremony, no matter what they deliver, because they are perfect human beings who were brought to earth on a rainbow of puppies and chocolate and sass.